We’re off to the Lake City. Ideally, we ought to have left several hours ago, but Hasan’s showing signs of an upset stomach and this, coupled with my mom’s sudden desire to take the hotel staff to task over the wrongly charged price of several platefuls of sandwiches, has delayed us quite a bit—and annoyed us just a little more. 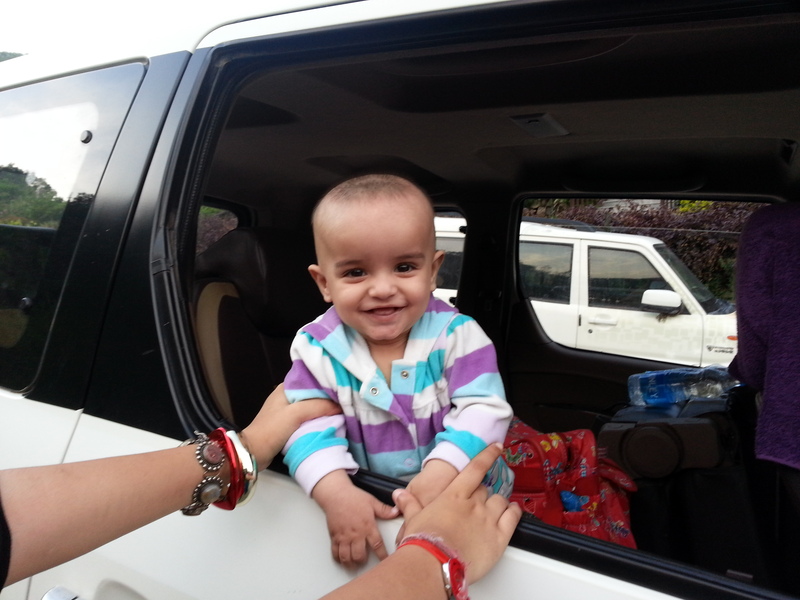 Hasan, meanwhile is having fun in the car. After extracting due apologies and the rightful amount from the management, mom is finally ready to be herded into the car. We’re all a little flustered by now, but the subsequent drive through the hills, alive with gorgeous forests, soothes our nerves and brings us back into the holiday mode. Starting late has its fair share of disadvantages—a long-drawn-out battle with the traffic in all its honking, zig-zagging glory. It takes two hours for us just to get past the Kosi Barrage of Uttarakhand—which would be a nice enough spot for a picnic and drinking in some sights if not for the endless traffic snailing ahead. After we’ve got through to the other side, braving a painstakingly long line of queued up cars, we stop at the nearest ATM as we’ve all but run out of cash. I stick my hand under the seat to extract my handbag, wherein lies my Debit card. My hand flails in empty space: no bag underneath. Withdrawing my hand I look around: no bag between myself and Sajjad, none between Mummy and Fatima, not under the back seats, none over and around all other pieces of baggage we have. Then it hits home: no bag at all. After having travelled over two hours and entered the second leg of the journey, I realise I have left my handbag—containing all the remaining money, the various debit cards and the multiple ID cards (including my PAN card and my driver’s licence) 48 kms away at Nirvana Wilds. Forgetfulness is a trait we three Naqvis share ungrudgingly—along with the rather delightful gift of being able to add ‘volcano’ to our middle names: erupting at the slightest provocation. And so we erupt, turning the car into a steaming bowl of lava-on-wheels: squabbling, bickering, blaming lava. Sajjad is normally the voice of sanity in all arguments, but it seems the volcano effect is beginning to rub off on him. So we’re all four absorbed in a hodge-podge of blame-flinging and self-saving arguments, which obviously serve us no good, because there’s nothing to be done but turn back all the way up to Nirvana and retrieve the bag. The bag is successfully retrieved. We’ve moved to the lower edges of Ramngar, but now it’s too dark to take on the journey in hilly terrain, and we must look for a hotel nearby to spend the night. The Corbett Aroma is no five-star hotel, but it’s an ok place for one night with tall, flowering bougainvillea trees and pretty good food, as it turns out. Everyone needs rest after a long day of volcanic eruptions. Finally, off to Nainital. Corbett Falls is a short stop on the way— nothing spectacular, but with a little bit of imagination and effort it could easily be made far more picturesque. The walk to the fall is a pleasant experience amid the ferns and the banyan trees with hanging roots, and the little natural pools by the side could be turned into magical faerie pools if only someone had the imagination and the inclination. Also, you wish everyone had enough civic sense around places of scenic beauty. As it is, wrappers and bits of garbage—however few—flowing down the lower reaches don’t help. A pity. 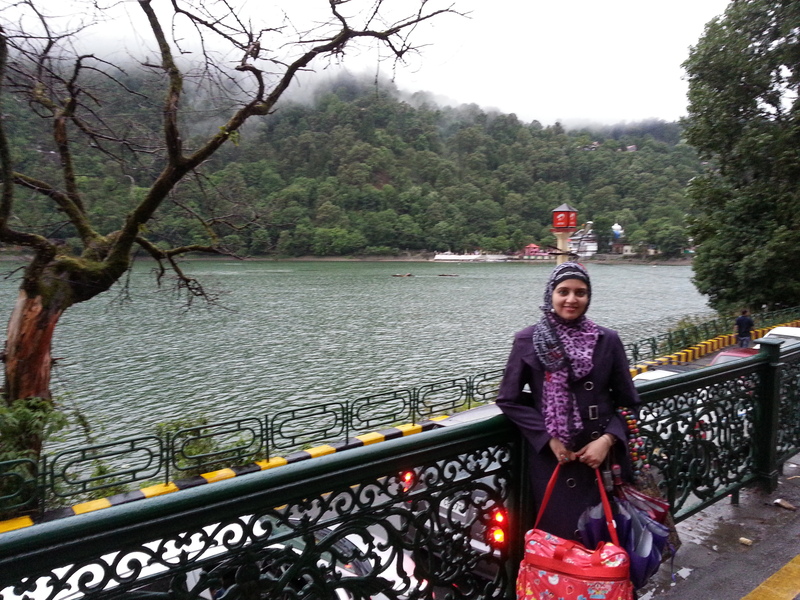 Even more pitiful is the entry to Nainital in summer, the peak of tourist season. Endless stretches of bumper to bumper traffic, hours and hours of waiting just to get inside the city. 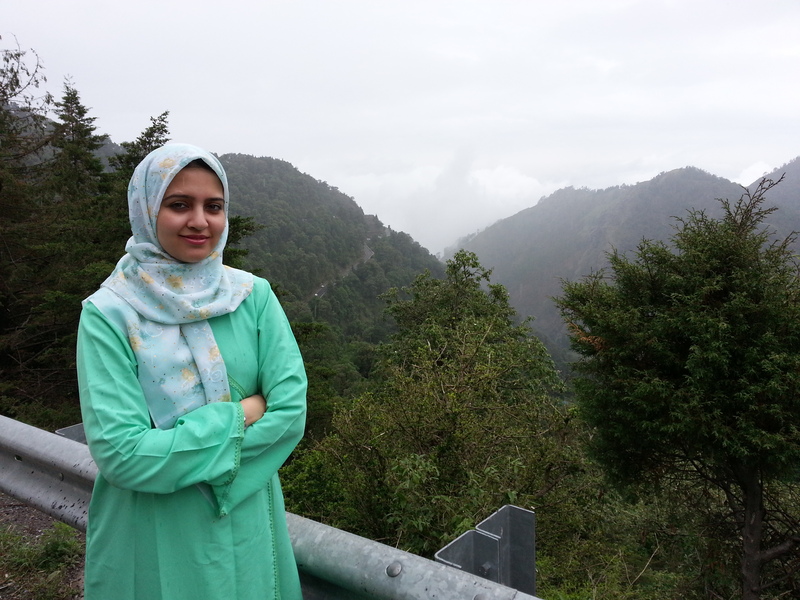 Admittedly, the drive offers many a pretty sight with clouds hanging low and terraced hillsides basking in the sun. But all of the sunburnt Indian plain seems to have had the same bright idea. 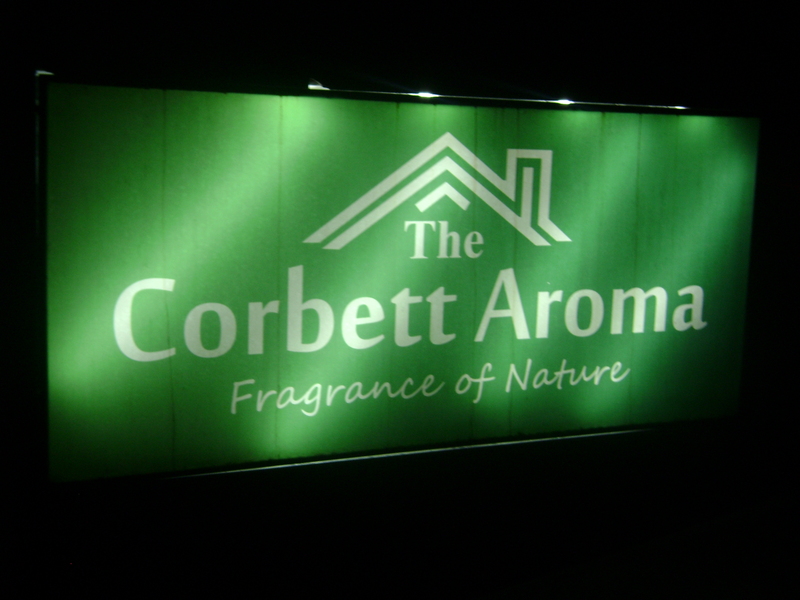 We, however, haven’t been bright enough and unlike Corbett, our hotel isn’t booked in advance. There’s many a reason for that, not the least being our uncertain programme, the lack of unanimity in vacation choices, and hotel rooms being sold out by the minute. So here we are, smack in the middle of a sea of fellow tourists with tariffs shooting through the roof and touts having a field day all around us. A combination of poor planning, stretched resources and unbelievable over-crowding has landed us at the Moon Hotel, which in itself is a decent place for a short stay and wouldn’t be bad at all, if not for the fact that we’ve been idiotic enough to opt for the lowest category of rooms. As it is, we’re now not-so-comfortably lodged into the budget rooms of a two-star hotel, absolutely not my preferred style for spending a precious annual vacation. Oh well, it’s only for two nights. And right now, we’re focussed on the lake ahead. I’ve probably never disliked rain so much. Light drizzle has transformed into loud patters and if it were not for the little monkey clinging to us, Sajjad and I would have loved the Mallital-Tallital walk. But it’s cold enough already and getting the baby wet wouldn’t be helpful at all. We decide to split up: The shopping ones—Mummy and Fatima, and the sitting-on-the-bench-with-an-umbrella-and-a-baby ones— Sajjad and me. We try to sit out the rain, hoping for it to stop soon enough so we can go boating at the lake or try some other kind of fun; something to remember this place by. 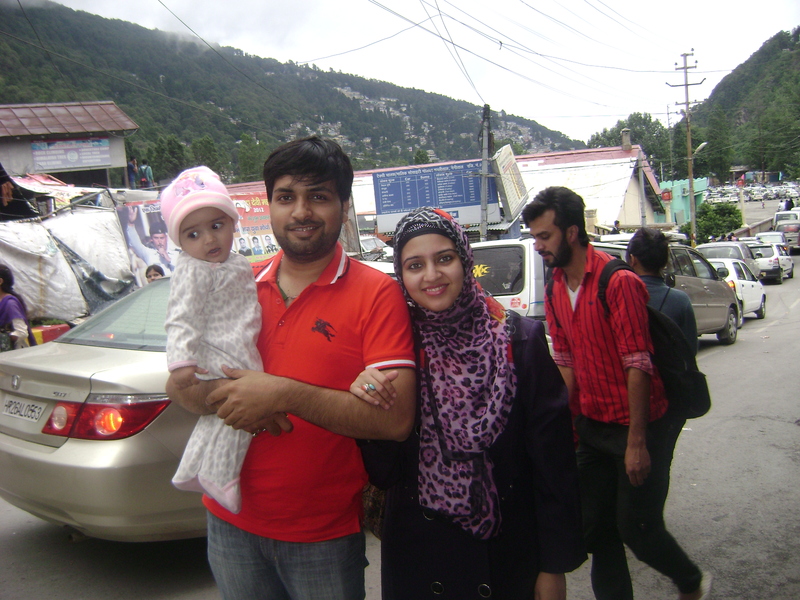 This entry was posted in Travel and tagged baby, Family, Nainital, parenting, road trip, travel by Zehra Naqvi. Bookmark the permalink.